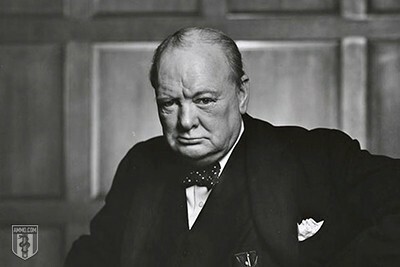 Iconic Prime Minister of the United Kingdom, Sir Winston Churchill was a former officer in the British Army and is considered by many to be one of the greatest wartime leaders of the 20th century. He oversaw British victory in the Second World War, played an important role in defending against the spread of fascism, and won the Nobel Prize in Literature in 1953 - the only British Prime Minister to do so. Churchill was also an active historian, writer, and an artist as well as the first person to be made an honorary citizen of the United States. As a young army officer, he saw action in British India, the Sudan, and the Second Boer War. To earn more money he chose to switch to the role of war corresponent. His initial fame comes from his activities as a war correspondent, where he honed his mastery of the English language and storytelling.